TUESDAY, March 20, 2018 (HealthDay News) -- Sharp increases in Alzheimer's disease cases, deaths and costs are stressing the U.S. health care system and caregivers, a new report reveals. About 5.7 million Americans have Alzheimer's disease -- 5.5 million of them aged 65 and older. By 2025, the number of seniors with Alzheimer's could reach 7.1 million, up nearly 29 percent. And, if no new treatments are found, that number could hit 13.8 million by 2050, according to the new report on Alzheimer's disease facts and figures, published online March 20 by the Alzheimer's Association. Every 65 seconds, someone in the United States develops Alzheimer's disease. By 2050, that will occur every 33 seconds, the experts said. While deaths from other major causes continue to decline, Alzheimer's deaths have more than doubled, rising 123 percent between 2000 and 2015. By comparison, the number of deaths from heart disease -- the leading cause of death in the United States -- fell 11 percent. "This year's report illuminates the growing cost and impact of Alzheimer's on the nation's health care system, and also points to the growing financial, physical and emotional toll on families facing this disease," said Keith Fargo. He directs scientific programs and outreach for the Alzheimer's Association. "Soaring prevalence, rising mortality rates and lack of an effective treatment all lead to enormous costs to society. Alzheimer's is a burden that's only going to get worse," he said in an association news release. The estimated cost of caring for Americans with Alzheimer's and other dementias is $277 billion this year -- and that doesn't include unpaid caregiving. Of that amount, $186 billion is the cost to Medicare and Medicaid, and $60 billion is for out-of-pocket costs, the report found. This is expected to be the second year in a row that total costs have exceeded a quarter of a trillion dollars, the authors warned. Total costs of care for people with Alzheimer's and other dementias could top $1.1 trillion in 2050 (in 2018 dollars), according to the report. The report authors noted that family caregivers play a major role in looking after Alzheimer's patients, and face significant threats to their physical, emotional and financial well-being. Nearly half of all caregivers who help older adults are caring for someone with Alzheimer's or another dementia. Last year, the lifetime cost of care for a person with Alzheimer's stood at $329,360. Families bear 70 percent of that cost through out-of-pocket expenses and the value of unpaid care. In 2017, more than 16 million Americans provided about 18.4 billion hours of unpaid care to Alzheimer's patients, worth $232 billion. And that takes a toll on caregivers, to the tune of $11.4 billion in added health care costs last year, according to the report. Dementia caregivers also spend nearly twice as much out-of-pocket ($10,697) as other caregivers ($5,758), the findings showed. 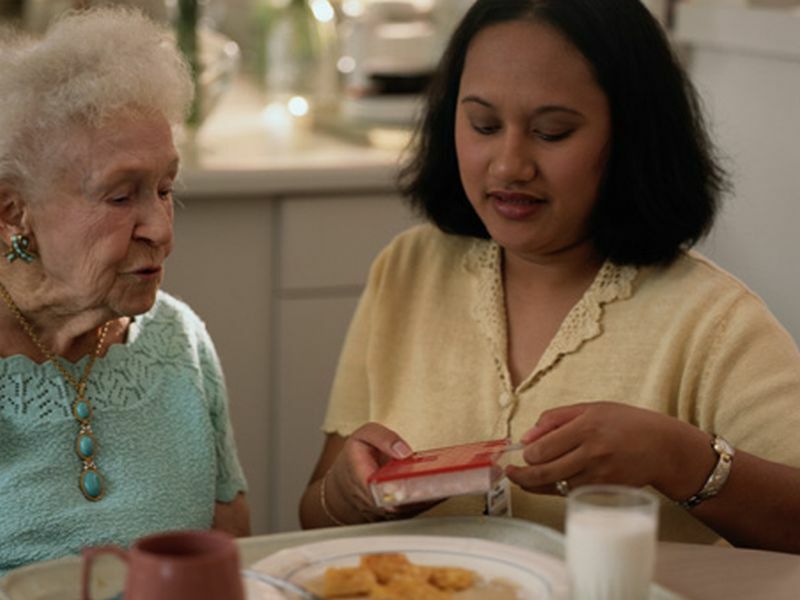 Forty-one percent of caregivers have a household income of $50,000 a year or less. The United States has about half as many certified specialists in the care of older patients than it needs, and only 9 percent of nurse practitioners report having expertise in old-age care, according to the report. In addition, the report said that two-thirds of Americans over age 65 with Alzheimer's disease (3.4 million) are women; Alzheimer's is the sixth-leading cause of death in the United States, and the fifth-leading cause of death for those 65 and older. The report also noted that Alzheimer's is the only top-10 cause of death that can't be prevented, cured or slowed. In an accompanying report on the benefits of early diagnosis, researchers said that spotting Alzheimer's disease early could save the United States as much as $7.9 trillion in health and long-term care costs. "We must continue to attack Alzheimer's through a multidimensional approach that advances research while also improving support for people with the disease and their caregivers," Fargo said. The U.S. National Institute of Neurological Disorders and Stroke has more on Alzheimer's disease.